Why Are Young People Voting for Old Socialists? 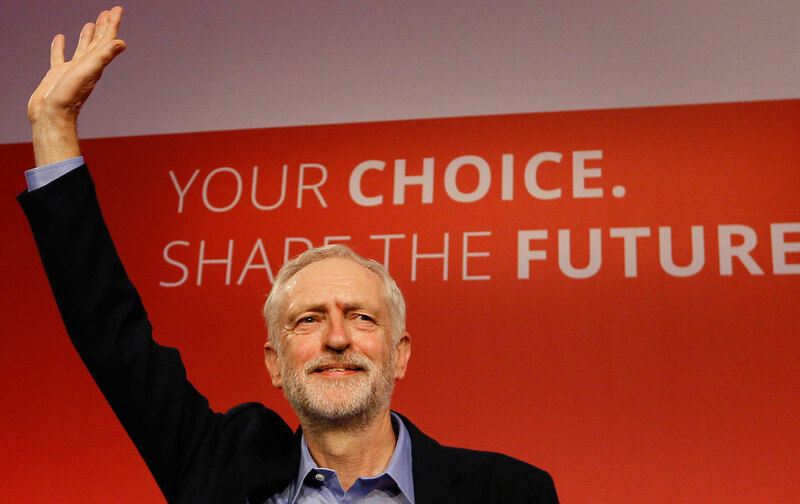 Sarah Leonard on Bernie Sanders, Jeremy Corbyn, and the surge of youth support for socialism. Sarah Leonard a senior editor at The Nation. Interview has been edited and condensed. Listen to Sarah Leonard on the Start Making Sense podcast. Jon Wiener: It’s happening all over: young people are voting for old socialists. Why is that? First of all, what were the numbers about Bernie Sanders and young voters? Sarah Leonard: Bernie won voters under 35 overwhelmingly. He won more of those voters than Trump and Clinton combined. He won completely overwhelmingly with white voters, and just over half of young voters of color. JW: You have suggested that this is not a case of American exceptionalism. Young people recently have been voting for people like Bernie in some other places. SL: Yes. In the British elections, Jeremy Corbyn increased Labour’s vote share when it was expected to decline under someone as far left as he is. He won overwhelmingly among young people. And they were really his foot soldiers on the trail. In France, we saw strong youth support for Jean-Luc Melanchon, and in countries like Greece and Spain, we’ve seen youth support for parties quite far to the left. JW: How are you defining ‘young’? When I was young, Jerry Rubin said, “Don’t trust anyone over 30.” Under Jerry Rubin’s rule, would young people trust, for example, you? SL: I’m 29. I’m just on the verge of being totally untrustworthy—and also no longer your youth correspondent. “Young people” are often defined as under 35. Many of those people are millennials, of course. In the U.S. right now, the biggest demographic block right now is millennials. This generation has been portrayed often in the media as being apathetic and lazy. We live in our parents’ basements. We’re all about ourselves. I’m sure you’ve heard this. JW: There’s another view: young people are inherently more radical, and that they move to the right as they get older. Do you think that’s what we’re seeing now? SL: I don’t. There’s a fair bit of data showing that people’s lifelong political preferences are formed while they’re young. The late teenage years and early 20s are important formative years for your political perspective. In the case of millennials, we’re seeing people who came to political consciousness after ’89, so no one’s thinking about the big communist threat. People in this group came to political consciousness more around the time of the recession in 2008, so people have a vivid sense of Wall Street and capitalism as big, scary forces that are keeping them from getting jobs and homes and starting families. JW: The other issue that has been emphasized by socialist candidates, both Bernie in the United States and Corbyn in Britain, is free college. SL: America currently has a trillion dollars of student debt. Britain doesn’t compare to us on that front. They have increased tuition in recent years. They’re starting to see lots of college students in debt or young people who are afraid they can’t afford college, which for them is a real shock. For us, it’s just a worsening situation. There’s a real contradiction for a lot of young people: you are told to go to college, that’s the way you’ll get a job. That is true: In America, certainly you are far less likely to be employed if you do not have a college degree. You go and you do that thing you’re supposed to do–and then suddenly you’re in absolutely insurmountable amounts of debt. I saw some analysis after the election that described Corbyn as bribing young people with free college. There’s this funny contradiction where, if we show up and vote on our material interests, we’re somehow being bribed. When we don’t, we’re told we’re just practicing identity politics, or something like that. What I think we’re seeing is actually a relatively healthy and straightforward political consciousness on the part of young people. JW: I understand why the people voting socialist now are young, but why are the socialists they are voting for so old? Bernie is 75. Jeremy Corbyn in Britain is 68. Melanchon in France is 65. Bernie’s socialism is pre-1960s. Is there anybody of the younger generation who can pick up the banner of socialism? SL: These older candidates are coming out of an era when the left parties had a stronger commitment to labor and to redistribution. These are folks who held on to their politics as their parties shifted to the center–as you saw with Tony Blair and with the Clintons. But there’s a missing generation of radicals in the middle, so young people have to pick up that baton pretty fast. I think they are. You’re seeing the growth of organizations like DSA. You’re seeing great candidates like Pramila Jayapal. But there’s a lot of work to do. I think that’s going to be a big challenge. Subscribe to the Start Making Sense podcast for more interviews like this one.